IRVINE, Calif. (January 15, 2018) — Homebuyers purchased new homes across the Villages of Irvine® in 2017 at a pace unmatched in the Western United States for the sixth consecutive year, according to the just-released Robert Charles Lesser and Company (RCLCO) annual report. 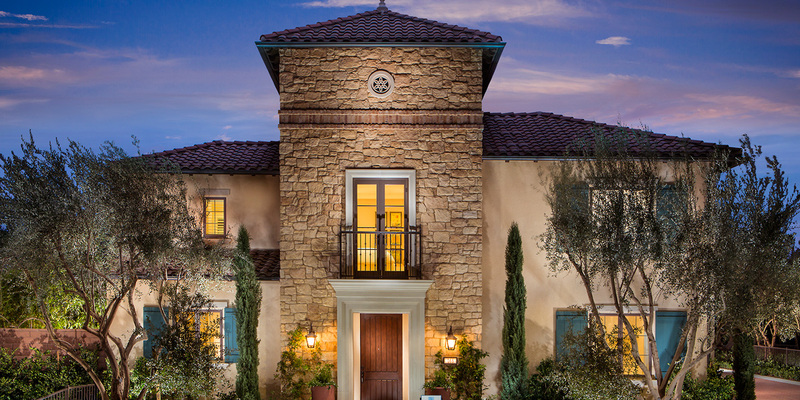 The popularity of the new homes earned the Villages of Irvine – built by Irvine Company’s Community Development Company – the 2017 ‘Top-Selling Master-Planned Community in the Western United States’ award from RCLCO. “Homebuyers continue to make the Villages of Irvine the ‘Top-Selling Master-Planned Community in the West’ because they appreciate the unparalleled quality of life enjoyed from decades of thoughtful planning,” said Scott Starkey, chief communications officer, Irvine Company. The large volume of new home sales – 1,814 in 2017 – across the Villages of Irvine marked the largest number of new home sales in the region. The Villages of Irvine outranked all new home communities in Southern California in the new report and is the highest-ranked Orange County, CA new home master-planned community on the top-selling list. New home shoppers can find an array of new home opportunities across the Villages of Irvine, including in Orchard Hills, Cypress Village, Eastwood Village, Portola Springs, Stonegate and Travata 55+. Prospective homebuyers interested in the new homes available across the Villages of Irvine can visit www.VillagesofIrvine.com to register for interest lists or find more information, or contact at New Home Consultant at (949) 720-3234. Irvine Company Community Development, the nation’s premier master planner, created the Villages of Irvine®, recently honored as the “Top-Selling Master Planned Community in the West” for the sixth straight year. The Villages of Irvine delivers timeless architecture set among the best park system in Southern California, the best public schools in the state, and the safest city in America for 12 straight years, according to FBI statistics. This highly acclaimed community is also renowned for its more than 57,000 acres of preserved open space; world-class shopping, dining and entertainment; and modern business centers – all of which work together to create an unparalleled quality of life. Thanks in large part to the Villages of Irvine®, Money Magazine routinely ranks the City of Irvine as one of the state’s “Best Places to Live.” For more information, please visit VillagesofIrvine.com.